More than 78,274,010 beer lovers served! Molson merged with Coors in 2005. Golden, low carbonation and head. Sweet mercaptan odor. Very very sweet beer. That's it, just sweet. Bright amber. Thick dense head. Light-medium body, fizzy. Lots of grainy malt with some caramelly sweetness. Grassy hop flavor, low bitterness. Clean finish. "Abbey Ale brewed with a hint of dark Belgian sugar. Brewed by BMBC, Toronto, Canada. 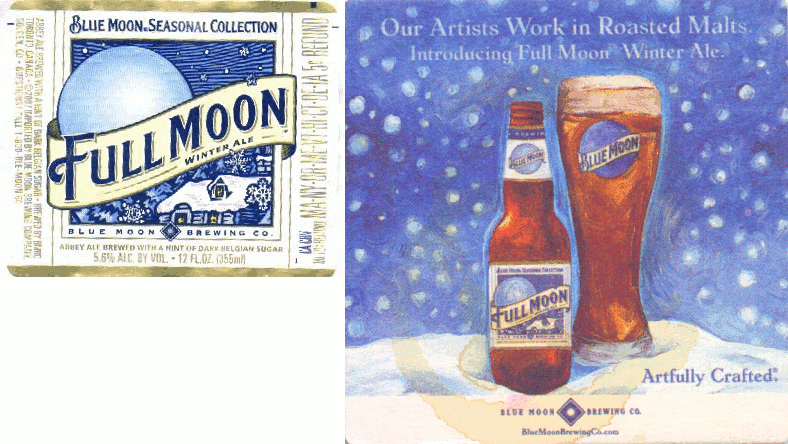 Imported by Blue Moon Brewing Company, Golden CO."
Bright pale golden, moderate head. Very skunked. Light body, sweet and malty. (Sorry, no glass.) Yellow. Smells sweet, mercaptans, a little spicy. Tastes sweet, sticky. Some corn. Insipid finish. Beer courtesy of Penny the Upstairs Neighbor. Golden, big head, fizzy. Some noble hop aroma, sweet. Very sweet, some corn flavor. Cloying sticky finish. OK, I guess, for an American Light Lager. Courtesy of Penny the Upstairs Neighbor. Red-brown, low carbonation, big head. Some floaty bits. Some diacetyl aroma. Some diacetyl flavor, hint of black malt, fair hop flavor. Almost reasonably smooth. 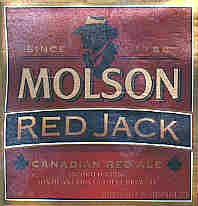 "Canadian Red Ale...Molson Breweries of Vancouver, Toronto, and Montreal."